We were with Fiona’s new neurologist. It was late. Almost five, and we were nearing the end of the appointment. We’d driven two hours to get to the children’s hospital, and the doctor had run an hour behind, and I’d colossally screwed up the appointment time for her routine EEG, which was supposed to happen before the doctor’s appointment, so we’d ended up sitting around idly for an additional two hours without getting the needed EEG. Needless to say, when the doctor asked me if there were any other problems, my brain was a bit mushy. “Any other problems…” I said aloud while trying to keep Fiona occupied on the examining table. She wanted to stand. Which meant I had to support her hips and keep her balanced while she locked her knees and squealed. Any other problems. I mulled over the possibilities. We’d covered the febrile seizures. 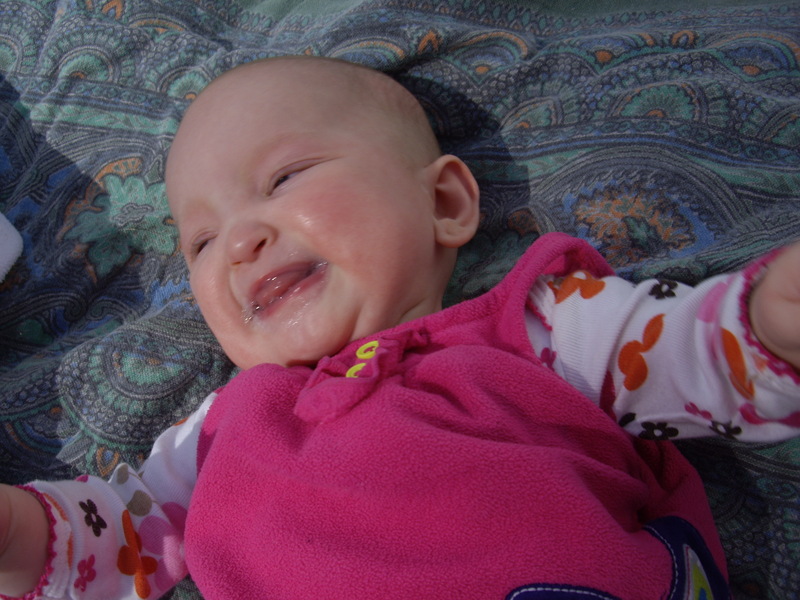 We’d covered her one weird, non-febrile seizure. We’d roughly covered the delays, which were evident. What other problems did my child have? “What do you mean?” the neurologist asked. Justin explained. Fiona’s life is far from typical. She isn’t designed like the average child. So sometimes it’s hard to know what’s a genuine problem and what’s just an expression of her difference. My husband had perfectly encapsulated the trouble with the question. The problem with “problems.” What exactly were problems? What weren’t problems? As I helped Fiona squirm into and out of a variety of positions on the paper-covered examining table, I realized that I had spent the first year or so of her life trying to figure out the answers to those two questions, and fretting a lot in the process. It began with her birth. She was 4 pounds, 12 ounces. Was that a problem? Doctors assumed it was. I was told to give her high-calorie formula instead of breast milk. I was told to keep her home for the first several weeks, which meant I would miss my husband’s priestly ordination, the culmination of a four-year road. I listened to doctors on the latter account and ignored them on the former. She got breast milk, but I never saw Justin become a priest. This sort of problem? not problem? fear is common, I suspect, with any new parent. 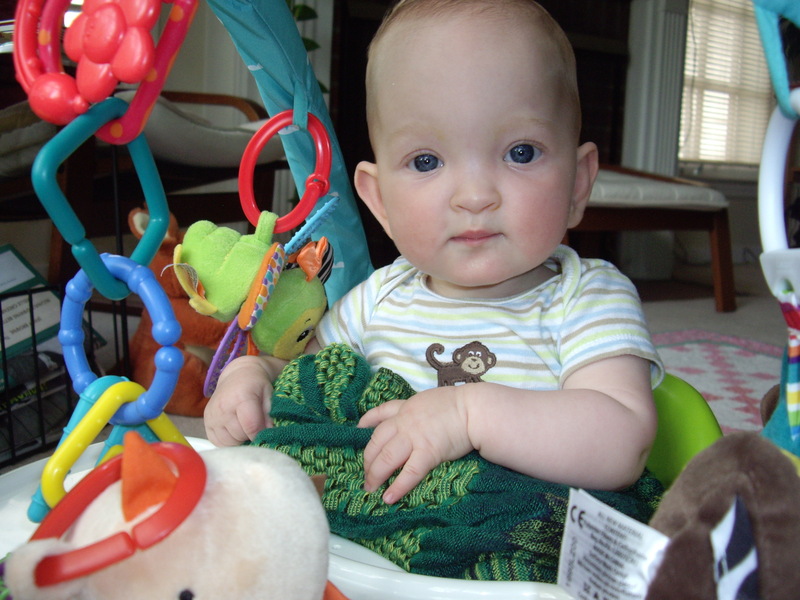 Before her diagnosis, I remember calling a pediatrician, worrying about poop frequency. Problem? Nope, the pediatrician said. Not a problem. But once it was clear that Fiona wasn’t the typical baby, once we learned of her missing genetic bits, the answers grew foggier. Were her sensitive blue eyes blinking in succession because of the sun? Or was that a myoclonic seizure? I videotaped the faint blinking. Sent the video to the neurologist. He couldn’t say for sure. We never captured it on an EEG, and after awhile, she stopped doing it. We never learned if it was a problem. Was her lack of steady weight gain a problem? Or was that “normal” for her? The geneticist said it was normal for her, but the pediatrician wanted bi-weekly weight checks. During one, Fiona started getting groggy. Freshly minted into the world of special needs parenting, I was on freakishly high alert. I was surging with adrenalin, all a panic over how to mother this tiny, mysterious person. And when I sat in the examining room with her, waiting for a nurse to come in and weigh her, holding her limp body, watching her eyes slowly close, I was convinced: some kind of seizure! It wasn’t, of course. It was a freaking nap. Months later, she started crying during diaper changes when I wiped her. Was that normal “I-hate-your-freaking-cold-wipes,-mother!” crying, or was it the sign of a UTI? Because kids with 4p- can have kidney issues, and one clue of an issue is a UTI. Maybe she had a UTI! She didn’t have a UTI. She just didn’t want me to wipe her nether regions with something wet and cold. Unfortunately, I couldn’t necessarily rely on experts to know what was a “problem” and what wasn’t. Case in point: During one of Fiona’s therapy sessions in Ohio, the occupational therapist harped on the way that Fiona held the fingers on her left hand. Fiona sometimes rested the middle finger on top of the index finger, like she was almost crossing her fingers in a sign of good luck. She suggested we get a splint. She couldn’t get us the splint because that was outside her jurisdiction, she said, but she believed Fiona needed a splint to stop her from holding her fingers in this way. She said we could take Fiona to a hospital and they could construct a splint that would keep her fingers spread apart by force. The idea never made sense to me. Really? A splint? My daughter is missing 120 genes. Perhaps an unusual way of holding her left fingers was just one way that those missing genes manifested. I felt the issue would eventually correct itself. But in the coming weeks, the OT pointed out the fingers. “How often are you massaging her hands?” she asked me, her mouth frowning and her brow furrowed. After the OT left, I put Fiona under her play gym, went to the kitchen, slid my back against the wall, and cried. I was nursing Fiona, attempting to spoon-feed Fiona various new textures and tastes, changing her diapers, doing the four, five, six sessions of tummy time a day. I was carrying her in a front pack because I’d read from Dr. Sears that it was good for cognitive development. I was sticking her in her Bumbo chair and wrapping a giant scarf around her middle so she could stay upright and placing her in front of dangling objects so that she could grab at them, as the Early Interventionist suggested. I was reading books to her. Playing music for her. Singing to her. Dancing with her. Taking her for walks. (I was also working.) I maintained a long list of activities that the therapists told me I should be doing regularly with Fiona. But no, I hadn’t been massaging her left hand with regularity. So the left-handed, cross-finger thing was my fault. It was a problem, and it wasn’t fixed because I wasn’t doing the work to fix it. This belief went against my instincts. I could not stop every little atypical thing that Fiona did. I could not make her “normal.” To do so was to violate who she was. She was missing 120 genes. They are little architects, genes. When several go missing, the others do their best to create a person. But they can’t get everything exactly as they would have if all the genes had shown up to the meetings. Hence difference. Compensation. “Atypical finger-holding patterns.” She would not be the same as the typically developing kid. She’d hold her fingers differently, she’d spend longer amounts of time in this developmental stage and that. She’d need more response time. She’d really like music. She’d love people’s faces. She was who she was. She is who she is. I have learned not to problematize my daughter’s being. I have learned to dismiss the people who do. A friend of mine once told me that he hated the world problematize. We were in graduate school, all of us surrounded by amped-up academic lingo even in such settings as a dank, grimy-floored bar. We used fancy words. We intellectualized. So one night, at the same bar, we were all listing the graduate school vocab that most got under our skin, and he said “Problematize,” and everyone scowled in agreement, including me. But in this case, it’s a useful word. Problematize. To consider or treat as a problem. I realized at some point in mothering Fiona that, if I chose to, I could consider my daughter’s syndrome and all its manifestations problems. Which meant I could problematize her entire being. She is not on the standard growth chart. She goes through phases where she doesn’t grow at all. Her sitting is wobbly because her nervous system is more challenged than most people’s. Probably because her brain is made differently. She still drinks formula, still can’t chew, still makes the same mmm mmm sound again and again, rarely opens her mouth to make vowel sounds, and fixates like no one else I know on nylon straps. She snakes them again and again through her fingers obsessively. These are not problems. They are a part of who she is. They are areas my husband and I and her host of therapists work on with her. With time and effort, she will continue to grow, and her sitting will gradually become more stable, and she will someday, probably, eat enough from traditional food that she won’t need infant formula, and hopefully she’ll chew and, who knows, maybe vocalize sounds other than M. She might even put down those nylon straps one day for a different tactile delight. I can’t be sure. But I’m not going to “problematize” any of it. We work on it. We give her the best chance at moving from where she is to maybe where she’ll go next. But it’s not a “problem” anymore than it’s a problem that a typically developing 5-month-old baby doesn’t yet walk. It’s how they are made. And this is how Fiona is made. And none of her differences needs a splint, a binding device to make it otherwise, a device that says more about other people’s own needs to normalize my daughter, to jam her into a container in which she will never fit, than it does about my daughter’s differences. Which has me wondering: What is a problem? Because, let’s get real here, we do have problems. The world of genetic deletions isn’t a happy fortune cookie saying of “She’s just different!” So how does a new parent tell what’s a problem and what isn’t? Only days into Fiona’s life, I was changing her four-pound-something body into a newborn diaper—she was so tiny that I had to roll down the top of the diaper at least an inch and overlap the tape. I saw her spine. Through the fog of new-mother sleep deprivation, I noticed it wasn’t straight. It curved oddly to one side of her body. I chalked it up to the wacky flimsiness of being a newborn. But a quiet, steady whisper inside me knew something wasn’t right. It wasn’t a panic. Wasn’t an anxiety-ridden, Nervous Nelly pulling her hair out. It really was a quiet, steady whisper. Scoliosis. This, I later learned, was my gut instinct. A thing that, up until having Fiona, I had never realized could be so freaking wise. After we had a diagnosis, I told her pediatrician about the spinal curve. “Well, I can’t tell until she sits up on her own,” she said. But how long would that take? Sitting independently? Finally, I convinced the pediatrician to give us a referral. X-rays revealed a 30-degree curve. But the ortho said that all we could do was watch it. The curve wasn’t harming her at this time. But we had to keep an eye on it. So now we watch it. Her scoliosis is no longer a “problem” because we’re doing all we can do for it, and it causes her no harm. It was a problem when nobody was tending to it. It was a problem when it wasn’t getting the attention I knew it needed. Now, it’s not a “problem.” Now, it’s another manifestation of missing 120 genes. And when I cringe at it during her bath time, I know that’s just me, making it a problem. 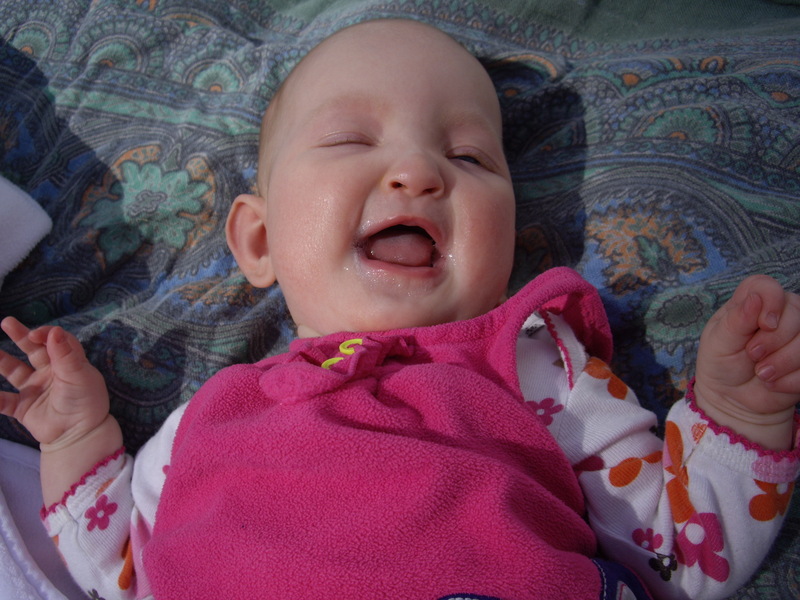 On Fiona’s medical records is a diagnosis: Failure to Thrive. It’s a harsh term, not easy for a parent to hear. As a priest-friend of mine, a new father, recently commented, “It’s like they’re telling you your kid has refused to participate in creation.” I laughed. He wisely encapsulated the cruelty—and the absurdity—of the phrase. “Failure to Thrive” in Fiona’s case means she doesn’t gain the weight that doctors expect her to gain, and I know it’s useful for insurance purposes. 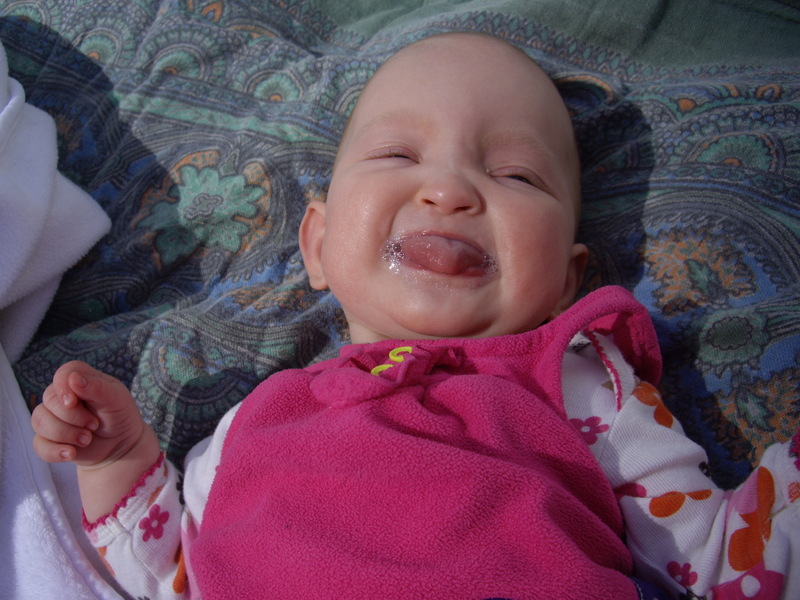 For arguing that insurance cover things like that infant formula we still give her. But I shrug it off as inaccurate for Fiona. It thrusts her beside a ruler that isn’t hers. She will never gain at the rate of a typical kid. That’s not how she’s made. Thriving for Fiona is measured by a different yardstick. No medical professional seems to have it. Instead, Justin and I have had to make it up as we go. Our current stick probably goes something like this: Is she happy? Is she progressing, however slowly? Is she either gaining weight (again, however slowly) or maintaining her current weight? Is her immune system handling illnesses? Again, is she happy? Do we feel in our guts that all is well with her? If “yesses” on all fronts, then Fiona is indeed thriving. She’s participating in her own unique expression of creation. And our job, as her parents, is to see this and love this and continue to cheer her on. 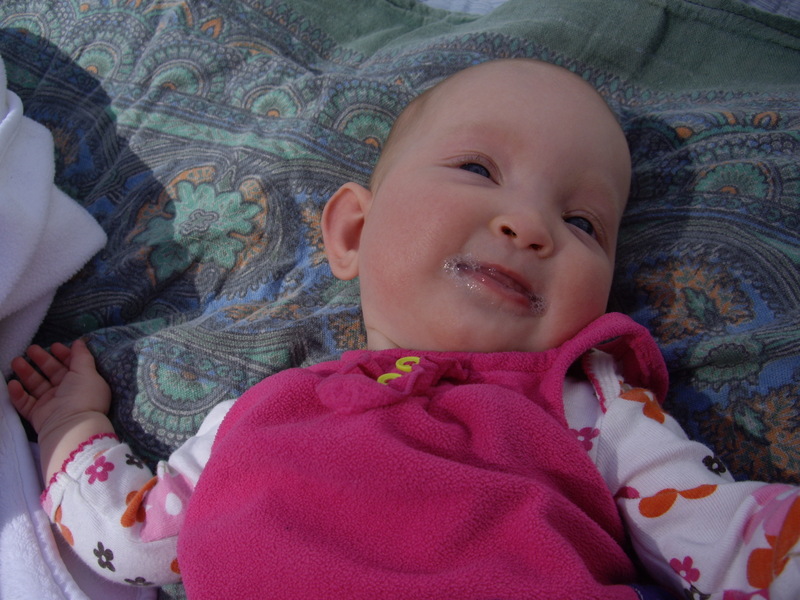 Here’s Fiona at 9 months, thriving in the sun…. There are certain essays or poems or stories that require a writer to go mining to the very bottom of that deepest place she’s got, and hope against hope that she makes it back. There’s no alternative. Sure, she can ignore the tug for awhile. But eventually she realizes she’s gotta go in. She’s gotta dig. She’s gotta get to the bottom of this thing, this question, this obsession, and usually it’s a scary one, and she’s gotta go mining anyway, and hope she doesn’t get trapped down there. The recent essay I published in Salon, about getting pregnant again after Fiona, is one of those pieces. I actually tried to get out of writing it by reading it instead. Maybe it already existed, I thought. Maybe some kind person had already said all that I’d otherwise have to. I started scrolling blogs of mothers with special needs kids. Specifically, I started scrolling blogs of mothers who’d gotten pregnant after having a special needs kid. I went to their archives, looked for the pregnancy posts. I got really close with this excellent post at Uncommon Sense. But I craved more. I even wrote to one popular momma blogger. I said something like, “For those of us who are thinking about having another child, can you write about how you’ve handled the fear and the risk?” But I didn’t get a reply. Ball again in my court. Or shovel again in my hand. I had to go there myself. To the rocky, dark, deep place. To the bottom of it. I came back up. Many thanks to the editor, Sarah Hepola, for accepting the piece, which you can read here. 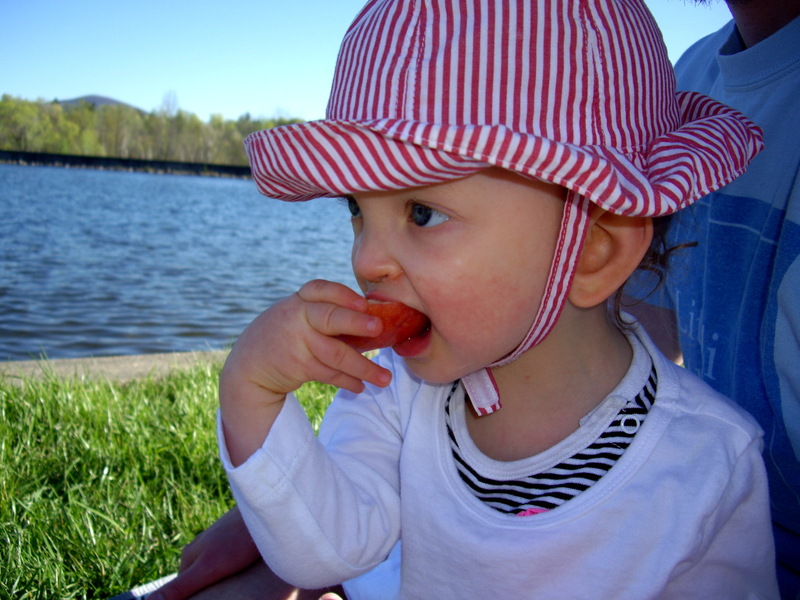 I think Fiona was about fifteen months old when I watched a typical two-year-old answer his mother’s questions. “Do you want ice cream?” she asked, and he nodded. “Do want water?” He nodded. The nod was a cute, exaggerated head-bob. Then the kid got what he wanted. I was amazed. First, that he understood, and second, that he could reply. How much simpler would my day-to-day parenting be with Fiona, I thought, if she could just answer a yes-no question? Although I knew Fiona’s daily rhythms, knew when she got tired and when she needed to eat and when she just wanted to play, and although I could often read her with an intuition that felt nearly psychic (but was probably just the result of, you know, being a person’s mom), there was still a lot of guessing. If she was hungry, did she want a bottle, or food? If we were eating food, did she want sweet potatoes, or prunes? If she started refusing food, did that mean she was done eating altogether, or was she just fed up with the pureed carrots? It was a lot of guess work. Lots of spoons in her face, lots of messes made as she smacked the spoons away or thrust her food-covered mouth into her highchair. Lots of whining and staring down the food she did want, or just whining in general, leaving me to wonder what she needed. 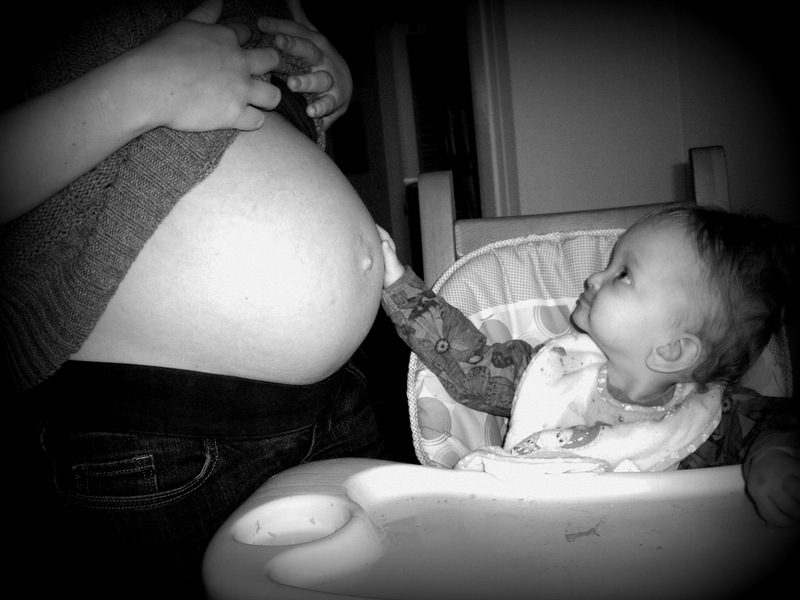 “I can’t wait until you start to talk so I know what you’re thinking,” I’ve heard parents say to their babies. I’ve heard a relative say this to Fiona — before we knew about her missing bit of chromosome four. But once Fiona had a diagnosis, I actively took this wish and buried it in an unmarked spot in the metaphorical backyard. I couldn’t afford to pine over something Fiona might never have. Fiona doesn’t speak any words yet. But recently she has learned to nod. It’s a form or speaking, and I’m pretty amazed at the difference it’s made for everyone. I put the water down. She makes her little mmm sound. “Do you want eggs?” No reply. Or sometimes a little shake “no” of the head. She doesn’t want eggs. “Do you want yogurt?” Fully body head-nod. I give her yogurt. And on it goes, a typical meal with the power of yes. What once took steadily 40 to 60 minutes can sometimes just take 20. Eventually, she gives me the all-done sign. “All done? Do you want out?” She nods. She’s done with breakfast. I pull her out of her chair. “Do you want to dance?” I ask. She’ll always nod furiously to this one. What it really means is, “Even though I, your mom, am nearly 8 months pregnant, I am willing to bob up and down with you to the beat of dance tracks.” “Do you want music?” More nodding. I usually play “The Dog Days Are Over,” by Florence and the Machine. She lights up. We bob around the living room. Typing it, I think this must sound silly. Mundane. A minor thing, the head-nod. But the power of yes has subtly changed Fiona’s life. She has a voice now. It’s obviously giving her satisfaction and joy. The other day, while changing her, I was walking my hands up her legs and toward her neck. It was a tickle session that was driving her half crazy, half happy. Sometimes she’ll get mad when I tickle her. She’s not in the mood. But today, she was borderline. It could have gone either way. Gleeful squeals? Fussy whines? She hadn’t decided. So I stopped. I asked, “Do you want more? More tickles?” She nodded. After that, she was all giggles. I think because she had a say. She had power. Ian Brown writes about this in his memoir, The Boy in the Moon, about raising a son with an uber-rare genetic syndrome. Brown was speaking with a man who worked with people with disabilities, and the man told Brown that he had to somehow teach his son how to say yes. Brown expressed doubt. I love this. I love this, of course, because in the past month or so, Fiona has learned this. I’ve shared the news with friends, but I still haven’t been able to convey the monumentalness of the head-nod. Brown’s quote here does a far better job. Fiona’s nod is liberty. It’s a key to meeting her intelligence. Did she want to be tickled, or not? She didn’t know. Until I asked her. And then she consented. She chose. She was free to say yes or no. She chose yes. Seriously, it’s an awesome power. Here are some questions that it appears she understands. She continues to amaze me with how much she understands.